We here at Nikwax North America have dedicated another ROY (Rep of the Year) award inductee into our hall of fame, naming Michael Down of Mystery Mountain Enterprises as the top dog for 2011. Each year we award top sales reps with the ROY award to recognize high achievements in sales, number of new accounts and meeting performance targets. For 2011, Down, a rep in British Columbia, received this high honor during an informal award ceremony that took place at the bi-annual, behemoth outdoor trade show, also known as Outdoor Retailer Winter Market 2012. Mystery Mountain Sales represents a myriad of premium footwear and gear brands for the active lifestyle, including SCARPA, Wigwam and Innate to name a few. Prior to entering the sales agency business in 1987, Down dedicated his time as a mountain guide and environmental advocate. Down began repping Nikwax when it first came to North America in 1991. 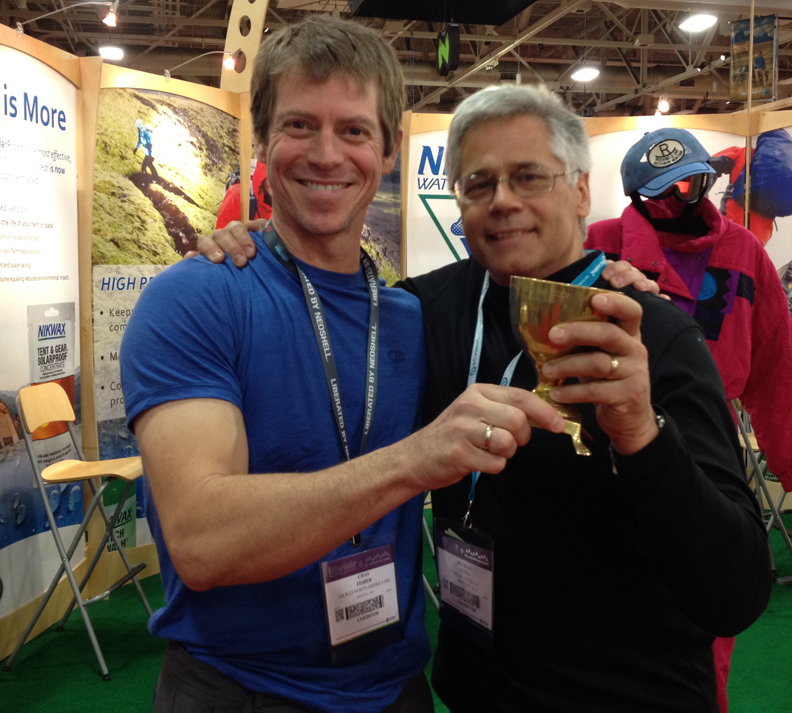 “It only took 21 years to win the ROY Cup, so I’m particularly proud and pleased to have been associated with one of the original green companies in the outdoor trade, and all the great people that make up Nikwax,” said Michael Down, founder and president of Mystery Mountain Sales. Categories: Uncategorized | Tags: British Columbia, Canada, Candian Cup, Michael Down, Nikwax, Outdoor Retailer, Sales Rep, United States, Vancouver | Permalink.